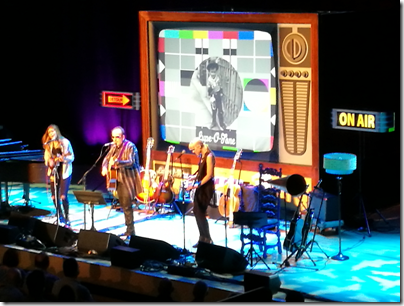 I was fortunate to get a late ticket to this mainly solo Elvis Costello concert, on the campus of Warwick University near Coventry. Why Warwick? Costello remarked that he had played there before in the early 70s, at the Student Union, under the name Rusty (probably a duo with Alan Mayes). 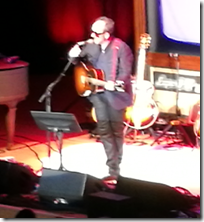 I have seen Costello perform on a few occasions but not for several years. I was re-enthused after reading his book, Unfaithful Music and Disappearing Ink , which I loved. (If you follow the Amazon link above you will find my review, or you can read it on this blog). What follows are a few jumbled impressions the morning after. The venue is delightful, small enough that everyone gets a good view, though the sound was not great from where we were sitting; it was a bit echoey making the lyrics indistinct at times, though it improved as the evening went on (or I might have adjusted to it). There was a short opening act from Larkin Poe – two sisters from Atlanta, Georgia, Rebecca and Megan Lovell, with guitars and harmonies. 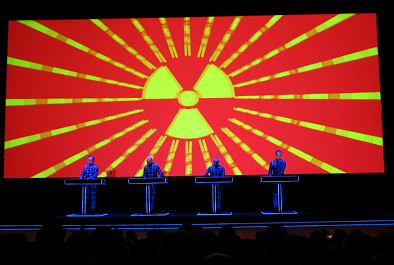 I enjoyed the set, though they said they found the audience a bit too British and restrained. After a short break Costello came on. Apologies for blurry picture! He was wearing a suit with an open neck and looked his age, but in a good way: affable, not pretending it was forty years ago, slightly hunched a lot of the time, but in very good voice as he kicked off with a fast and powerful rendition of Lipstick Vogue. 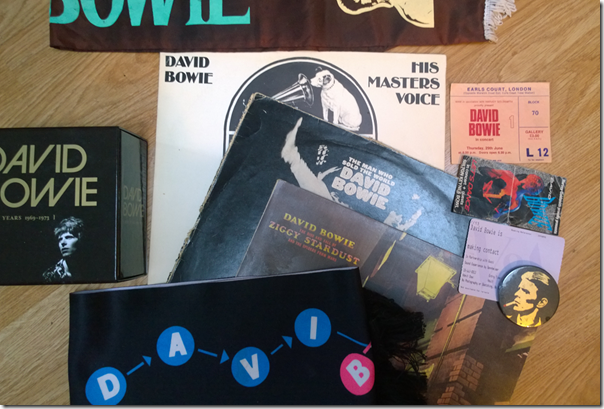 He talked a lot between songs and sounds just like his book – even to the extent that I wondered if the book had been dictated. I actually enjoyed his patter as much as the songs, but then I loved the book too: stories from the road, reflections on his father and later his grandfather, sharp remarks about politics and our failure to learn the lessons of history. There are reasons for his anti-war stance. There was a lot of talk; but a lot of songs too. I’ve copied the set list below, and there were 30 songs, with plenty of hits and plenty of less usual numbers as well. Had I been nearer the front I might have shouted for Indoor Fireworks; but I think most fans will have heard what they wanted to hear. 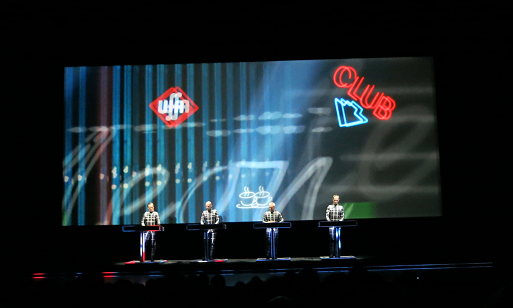 The set was dominated by a huge “television” on which we saw video to accompany the songs, a trick which worked pretty well. 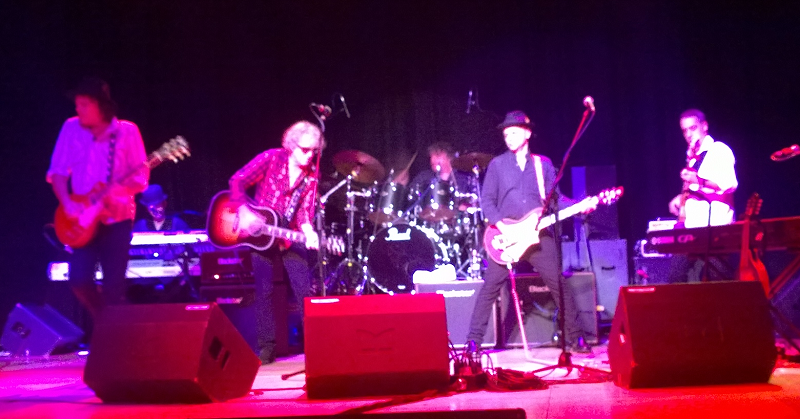 I’m pretty sure we also saw Costello’s father Ross MacManus performing, as well as some stills of his grandfather Pat MacManus. Some of the highlights for me were Shipbuilding, performed from the piano; an energetic Watching the Detectives and an impassioned She. After 17 songs we thought the concert was nearly over but not so. The first encore was six songs with Larkin Poe, including Pads Paws and Claws, Clown Strike, and a song called Burn the paper down to ash sung by Rebecca Lovell which I think is about the perils of tobacco. After that we again thought it was all over, but no, Costello returned in his TV and sang Alison followed by Pump it Up. Then it was back to the piano for Side by Side and I Can’t Stand up for Falling Down, followed by a reminiscence about his granddad, injured in the first world war by someone who did not know him, said Costello, and later reduced to busking in the economic depression of the 1930s. By this time there really seemed to be some rapport with the crowd and I got the impression that Costello enjoyed the atmosphere. An emotional Good year for the Roses followed by (What’s so funny ‘bout) Peace Love and Understanding, and it really was over. I am a fan of course but this was a great concert for me. 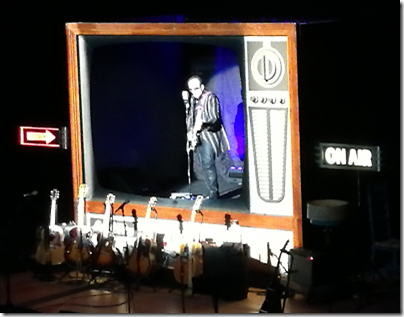 Costello is to my mind one of the great songwriters as well as being an unashamed entertainer. 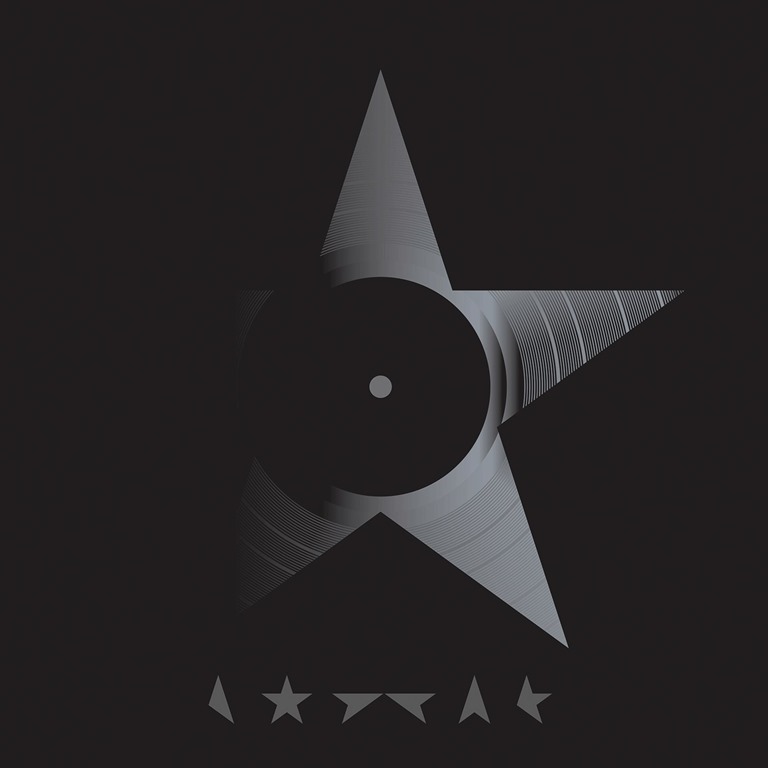 Last night we got a wonderfully varied performance with everything from journeys back to the punk era (Pump it Up) to the more reflective songs of a man looking back on a long career of watching the world. 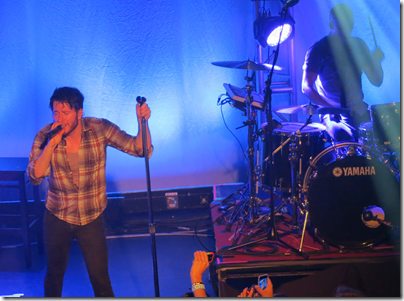 Jimmie Standing In The Rain – including Brother, Can You Spare A Dime? I still remember my first encounter with Elvis Costello’s music. It was the John Peel show on the radio of course, the song was Less than Zero, and I found it captivating: distinctive voice, catchy melody, and above all words that were evocative, mysterious and vaguely menacing even though I didn’t fully understand them. 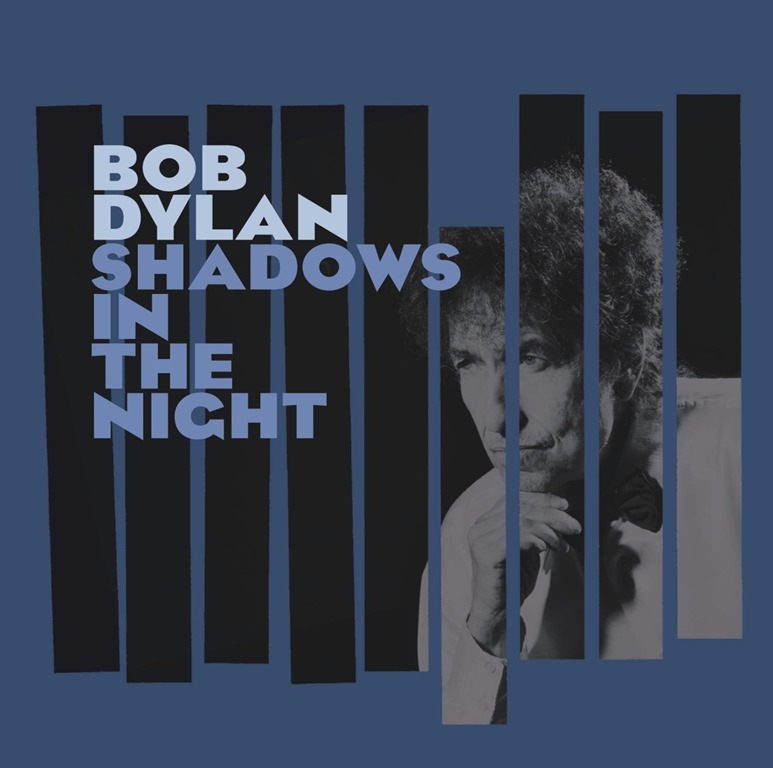 I snapped up the album My Aim is True when it was released a few months later and have been a fan ever since, following the twists and turns of his career from punk rock to R&B to country to collaborations with jazz, classical and hip-hop musicians. Costello is an amazing wordsmith and songs pour out of him, such that many of his B sides and outtakes are more than equal to the best work of many others, a characteristic he shares only I think with Bob Dylan – who makes a regular appearance here as they encounter each other and end up performing together on a number of occasions. Now this is his book, 36 chapters (plus postscript) and approaching 700 pages. It is an excellent read, presuming you have some time for the man or an interest in the music scene of the last forty or so years. 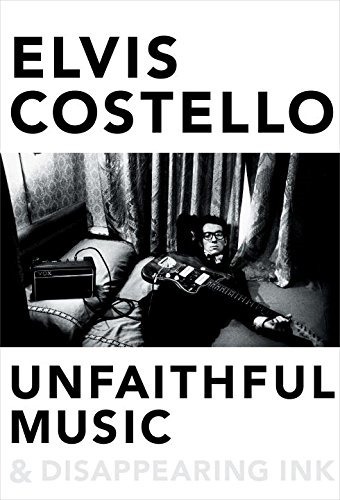 Writing in short pithy paragraphs (just as you would expect) Costello tells the story of his life, his bands, his writing, his father Ross MacManus who was also a singer, girls girls girls, and along the way recounts many entertaining and often alcoholic incidents of life on the road. The rhythm of the book is somewhat staccato and the sequence of events is only loosely chronological – that is, there is more about his earlier years in the first half of the book, and more about his later years in the second, but he constantly jumps back in forth in time making literary counterpoints. His habit of ending an anecdote just when you thought it was getting going can be annoying; but he is never dull. It would be an interesting exercise to rearrange, or attempt to rearrange, the book into chronological order, but I don’t fancy doing it with my printed copy. There are black and white photos interspersed throughout the book; they don’t look great partly because they are printed on paper designed for text. In addition they have no captions. A shame. 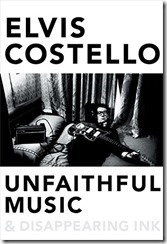 Costello writes a lot about his father, and in some ways the book is a tribute to him. He writes of his statement a couple of years ago that he would give up making records, which at the time he said was about spending more time with his children. “The real reason was that I needed time to imagine how I could bear to write songs and not be able to play them for my father. 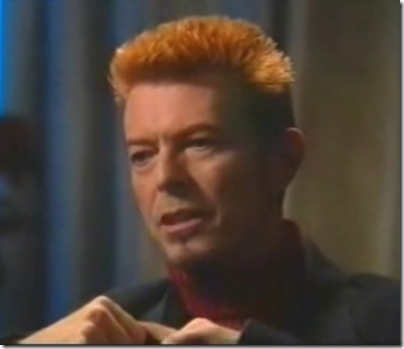 Watching him listen to music was irreplaceable to me,” he says. Such passages are where Costello shows most emotion. “One night Bob Dylan said to me: ‘U2! How could they do that to you? How could they take your song like that! Costello is a performer and the book is in a way a performance; I wish it were less so, but perhaps if so it would be less entertaining. There is a sharp side to Costello which occasionally goes too far. He writes of early days with Stiff (the independent record label responsible for his first releases) and the threat of being paired with another singer, “a horrible little git called Eric, who’d stumbled into the office with a single decent song.” Did he have to say that? That in the end is the great thing about Unfaithful Music and disappearing Ink; it will inspire you to go back to the music, both from Costello and from others, and perhaps even to go beyond your comfort zone and explore some artists you may have missed or dismissed. He did. This is among the most enjoyable music books I have read; recommended. 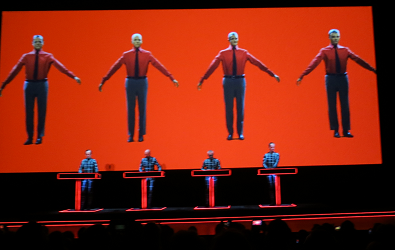 Yesterday I journeyed to London to hear Kraftwerk perform Computer World at the Tate Modern. 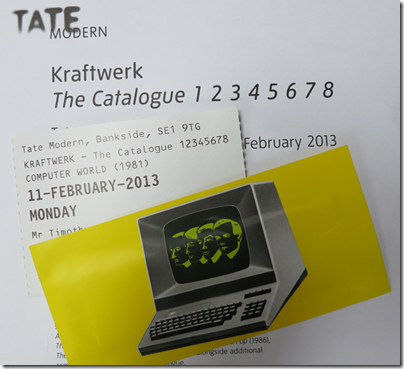 A cold night, and I was glad to reach the warmth of the Tate Modern. 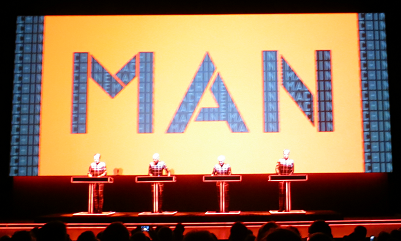 We picked up our green armbands, and 3D spectacles, were instructed that no re-admittance was possible, and move on into the concert foyer where vaguely Germanic sausages, bread, chips and mustard was on sale, along with cans of flavourless beer. It feels like a lot of attention has been paid to the total experience. 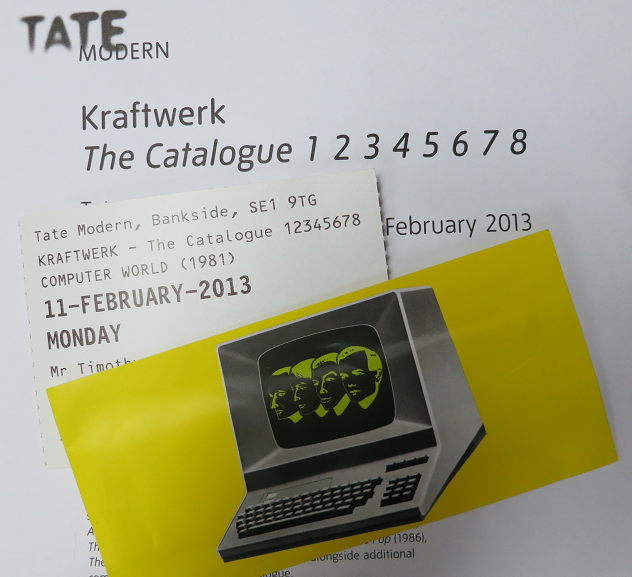 The 3D glasses are packed in an envelope specific for the evening. The programme is only a sheet of A4, but it is informative and intriguing. “A vision of bright hopes and dark fears of the booming microchip revolution, Computer World is a serenely beautiful and almost seamless collage of sensual melodies and liquid beatscapes,” it says. 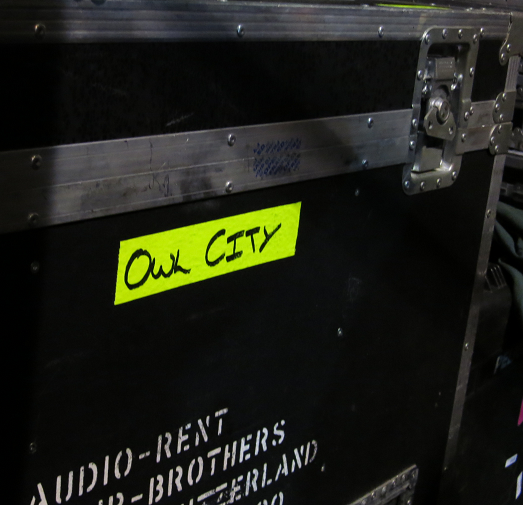 We move on into the concert space. Black pillows are handed out; essential if you plan to sit on the cold concrete floor. The hall is not huge, but it is exceptionally high. It is a relatively small crowd, and not entirely composed of middle-aged men as you might expect. The iPad-using guy next to us is 29, he says. The concert starts at 9.00pm sharp. Everyone stands; forget the pillows then. Four men stand behind desks and barely move; the sounds of Numbers fill the hall, and 3D images pass across the screen. The images are integral to the show. 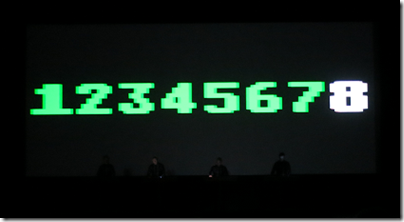 The effect is more that of an animated slideshow than a film, with many loops and repeats. The images are iconic; watching the show is like walking round an art gallery, with one carefully composed image following another. Lead man and co-founder Ralf Hütter is on the left and does vocals; I am not sure you can call it singing. What are the others doing? 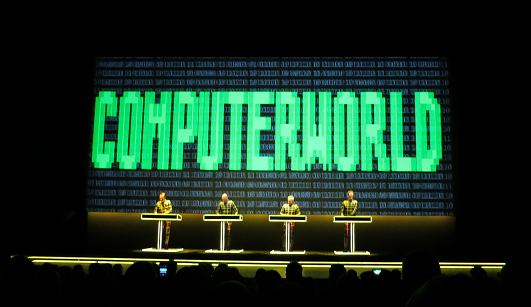 Are they playing real or virtual keyboards? Running programs? 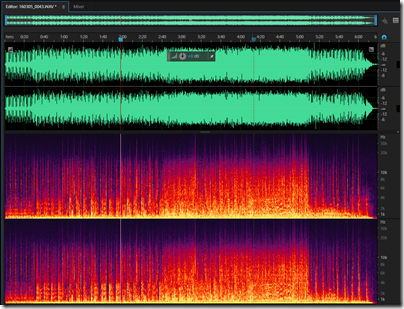 Tapping out percussion? It is all part of the mystery. 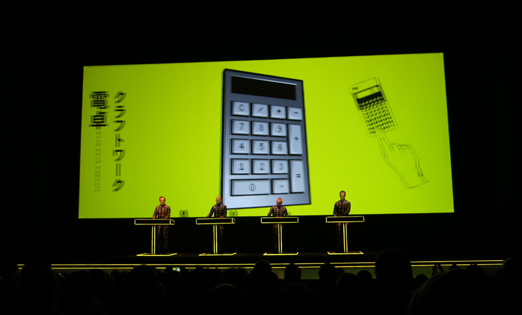 Next it is Pocket Calculator. I love this song. “I am adding. And subtracting.” it says. It is about delight in technology. It is about doing things that would otherwise be impossible. It is about dehumanisation, no more pen and ink, columns of numbers, mistakes and crossings out, but just a few keys to press. 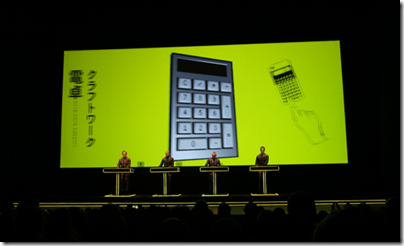 We no longer have pocket calculators so the whole thing is decidedly retro. Can you be simultaneously retro and futuristic? Apparently you can. 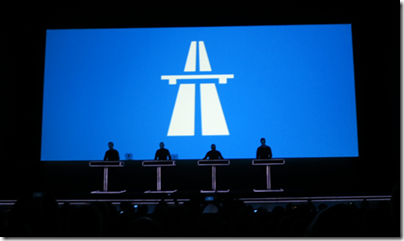 The main car in Autobahn is a VW Beetle. Autobahn as it happens comes rather quickly, after around 23 minutes according to my watch. That’s odd, since Computer World the album is over 34 minutes. We did not get the whole of Computer World and I want my money back. Well, maybe not. The concert was stunning and I would not have missed it for anything. But I was surprised. 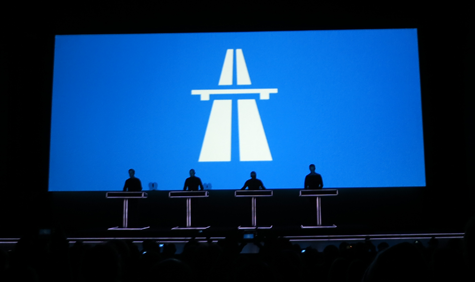 Autobahn seemed to go on endlessly, which is as it should be of course. Then the VW took the exit slip and it was over. 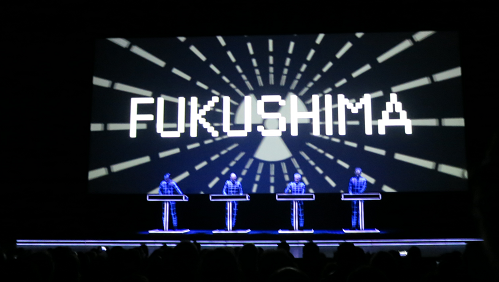 Radioactivity. This song has been updated and now features Fukushima alongside other nuclear incidents like Chernobyl. This is a disturbing song. 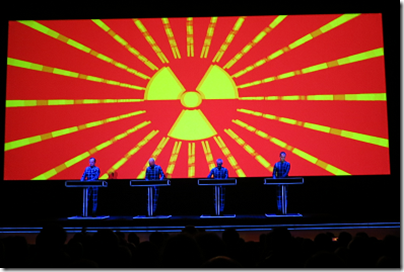 “Radioactivity is in the air for you and me … contaminated population” The jolly melody is at odds with the subject matter, but it works; does it represent the PR machine? 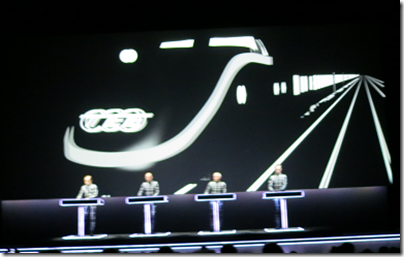 Trans Europe Express. The train song is perfect for Kraftwerk. The train rushes towards us. Travel. Communication. Engineering. Cold steel. 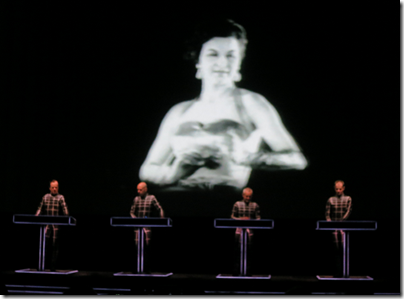 Kraftwerk. 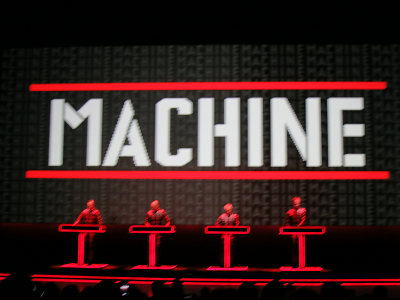 Two songs which are particularly striking live are The Robots and the Man Machine. The Robots come first. This is where the band performing in front of the visuals works so well. 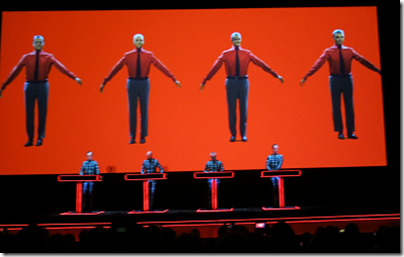 What is more true, that the robots are human-like, or that the band is robot-like? Are we, in fact, machines ourselves, making the whole question moot? 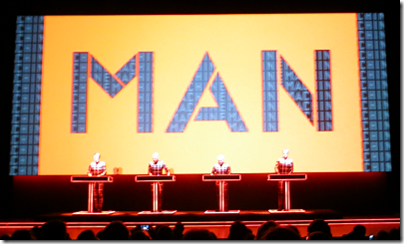 I have skipped over a few, songs in fact which touch on the more human side of Kraftwerk’s art. 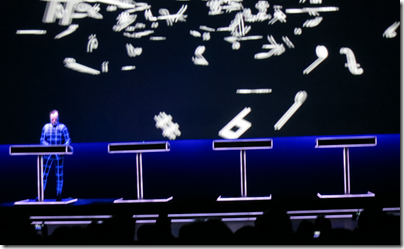 After Space Lab, The Model is performed to a backdrop of black and white glamour girls, retro, unreachable. Neon Lights is a short, refreshing interlude. 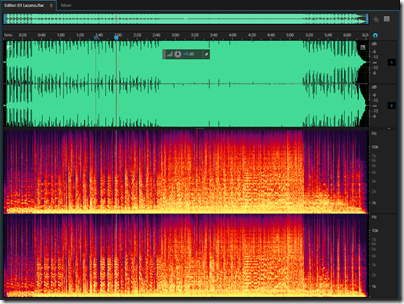 The melody is stark and beautiful. If Hutter ever sings, he sings here. 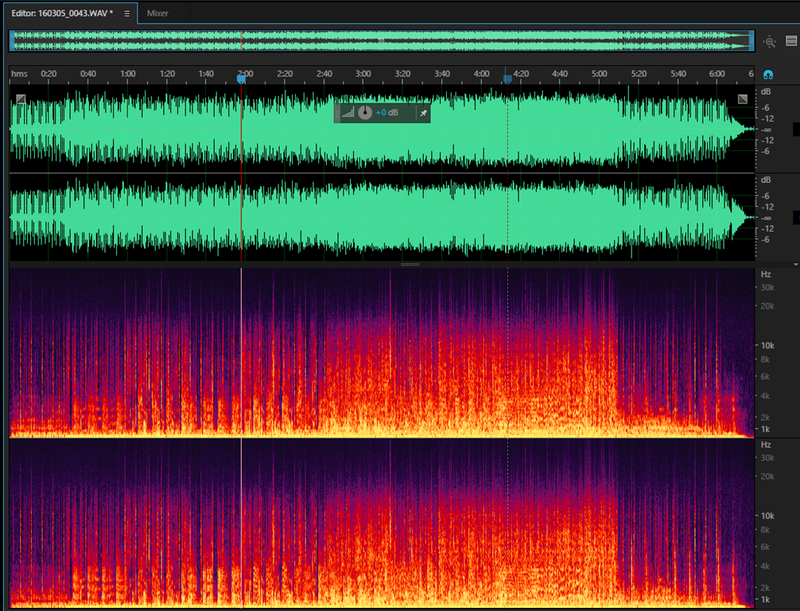 A note on the sound quality. 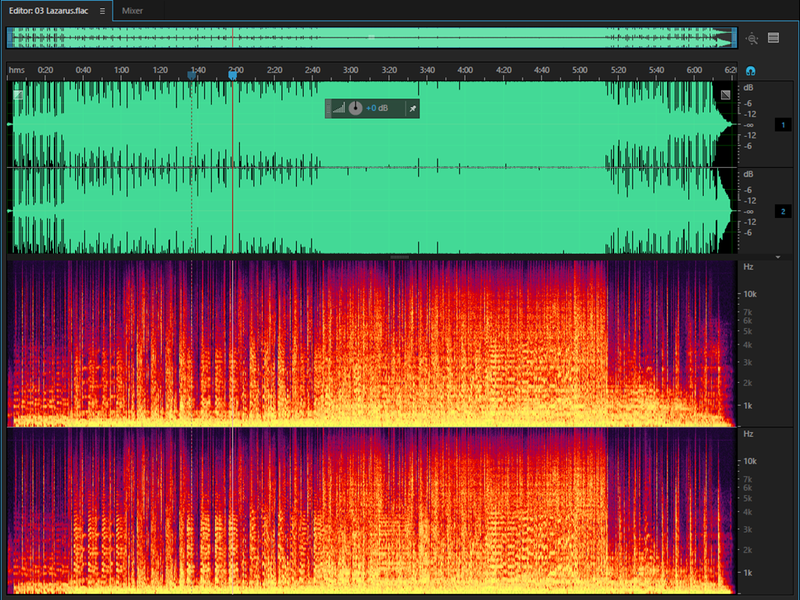 In general, good, and not ear-splittingly loud for which I am grateful. It did get louder as the concert progressed, and I felt there were times when it distorted; but improved again towards the end. There was true chest-shaking bass at times, something you had to be there to feel. 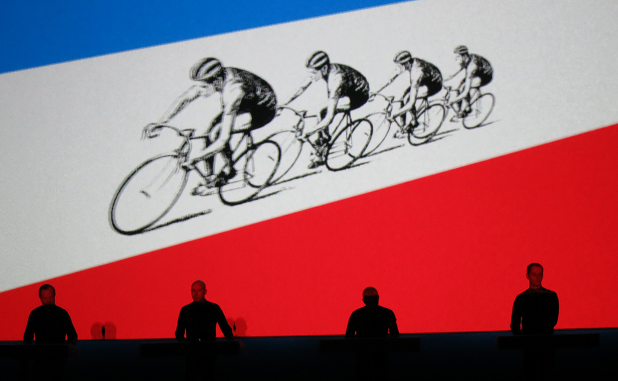 Tour de France is rather good. We see human endeavour, more black and white footage for the retro feel, and followed by Vitamins, making a point perhaps. 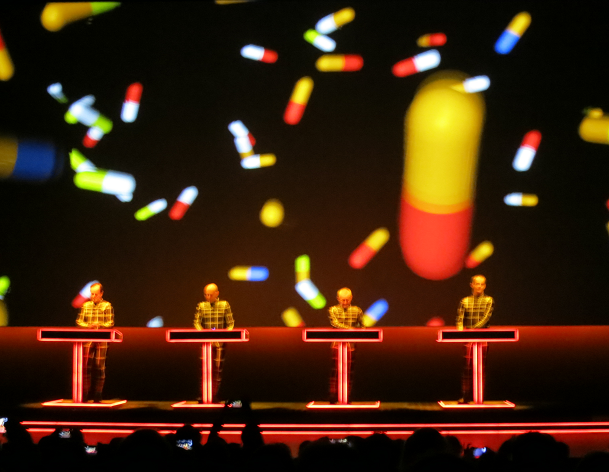 Vitamins give rise to some strange 3D effects. 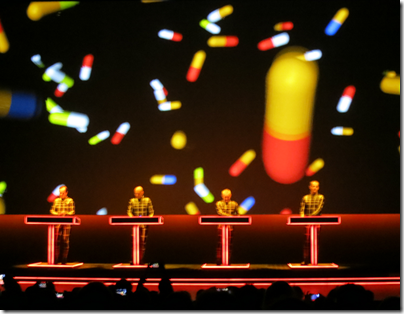 Giant pills seem to float out over the audience, but as they fall, they fall behind the band, breaking the illusion. The Techno Pop section is the last in the concert. There is Boom Book Tschak, and another song I think, then Musique Non Stop, just as the concert is in fact stopping. The musicians leave the stage one by one, until only Hutter is left. 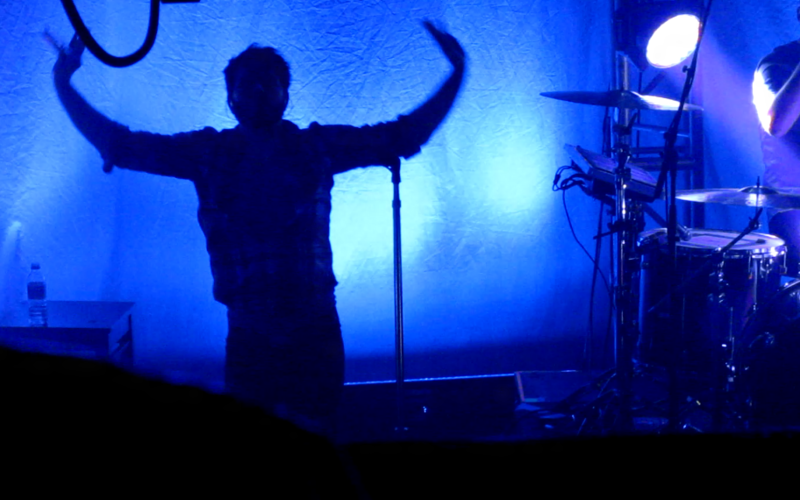 He moves to the right of the stage, he bows, “See you tomorrow”. Unfortunately I will not. Then he is gone. No encore. 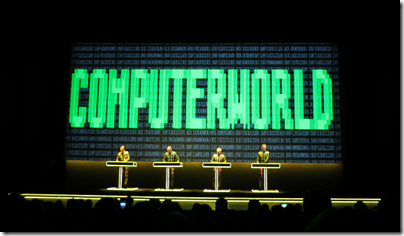 It is not the Kraftwerk way. That was Kraftwerk. Repetitive, yes. Perplexing, yes. Beautiful, yes. Unique, yes. Everything is ambiguous. Perhaps we are participating in an elaborate joke. It does not matter. Wonderful. Yesterday I went along to Tutu’s, a club which is part of Kings College Student Union in London, to hear Nina Nesbitt and Owl City. The venue was mostly great, top floor overlooking the Thames, friendly atmosphere, docked a point for terrible beer (no bitter whatsoever, let along draught). 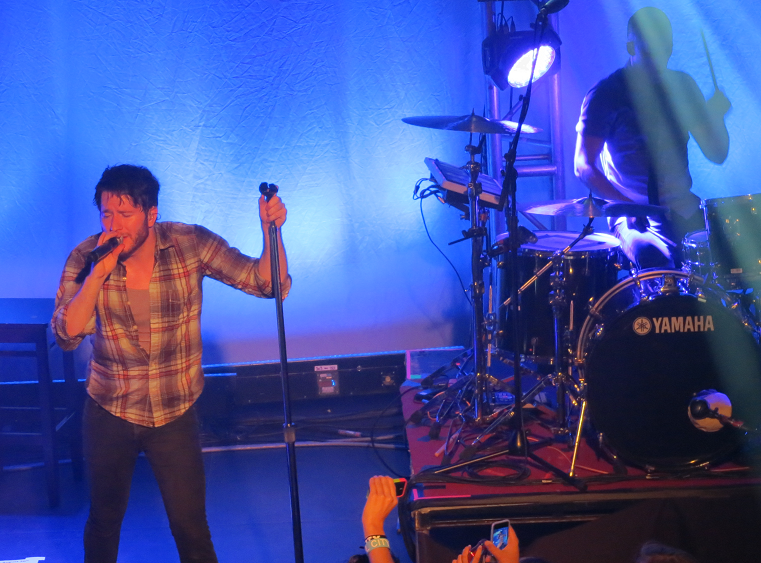 It was packed: Adam Young’s Owl City may get terrible reviews from the likes of NME, but he strikes a chord with many dedicated fans. 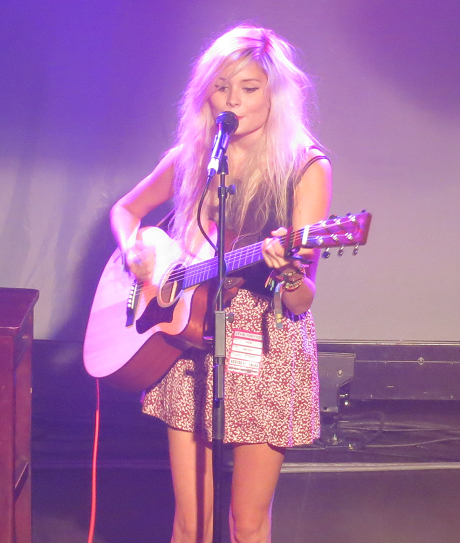 First up however was beautiful Scottish singer/guitarist Nina Nesbitt, who has just announced her own headlining UK tour. She has great stage presence and won over the audience with her passion, melody, strong percussive guitar and engaging personality. Highlights were the forthcoming single Boy, an earlier song called Glue, and by request an energetic cover of I’m Gonna Be (500 Miles) by The Proclaimers. She closed with The Apple Tree from her EP of the same name. She thanked the audience for listening to her – in other words, not talking loudly and heading for the bar – saying it was a rare experience, but if she keeps up this quality she will have no problem keeping attention. One to watch. 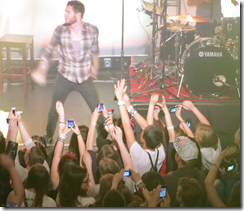 At around 9.00pm Owl City came on to perform the last date of their 2012 summer tour. The opening was stunning: fired-up crowd, opening drums from Steve Goold, and then Young was on singing the opening number, Cave In from the album Ocean Eyes. 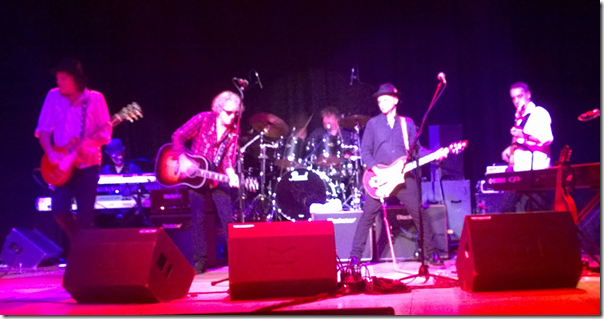 The sound was not great – I heard some bass distortion from where I was in the gallery – but the power and energy coming from Young, the band, and the enraptured audience was not to be denied. 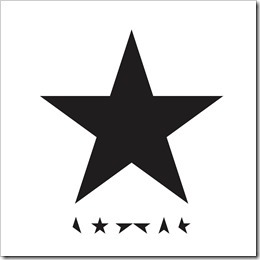 The music was also more muscular than I had expected, benefiting from the backing of a full band which the recordings mostly lack, and a nice counterpoint to the dreamy, introverted songs. at which point Young does a marvellous Owl-like flapping motion with his arms, it sounds daft but we were transported. I am old enough to remember being searched for cameras and recorders when going to a concert. 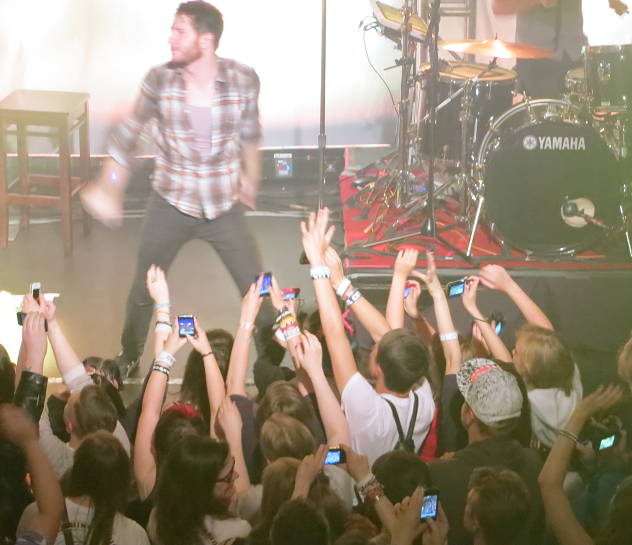 Things are different now and everyone seemed to be making their own videos with smartphones held high. I even saw someone wielding an Apple iPad to take photographs.